CS Constantine recorded a 1-0 win over Club Africain in the 2018/19 CAF Champions League Group C match at the Stade Olympique de Radès, Radès in Tunisia on Friday. As a result, the Algerian side climbed to the top of the group standings after a victory over the Tunisian club on match-day one. The hosts launched attacks in the early stages of the game as they looked to grab an early goal with Oussama Darragi pulling the strings. However, the Smurfs were able to contain Africain, who won the Champions League in 1991 after defeating Ugandan side Nakivubo Villa SC in the final. The score was 0-0 during the half-time break between Africain and Constantine. Ghanaian striker Derrick Sasraku was introduced by Africain head coach Chiheb Ellili 14 minutes after the restart as the hosts looked to open the scoring. The Constantine defence which was led by Nasreddine Zaalani frustrated the Africain attackers. However, Africain were awarded a penalty with nine minutes left on the clock, but Yassine Chamakhi missed it as the visitors survived a scare. Africain were left vulnerable at the back in the closing stages of the encounter and they were punished by Abdenior Belkheir. The 29-year-old super-sub hit the back of the net in the 89th minute to seal Constantine's 1-0 win over Africain with Kadour Beldjilali grabbing an assist. 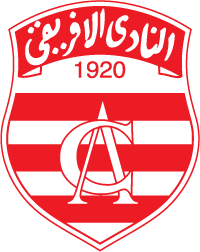 Africain : Charfi, ifa, Jaziri, Agrebi, Abdi, Mcharek (Sasraku 59'), Darragi (Labidi 86'), Khalil, Khemissi (Kossi 76'), Dhaouadi, Chamakhi. Constantine: Rahmani, Benayad, Zaalani, Chahrour, Salhi, Haddad (Beldjilali 87'), Yettou, Lamri, Djabout, Abid, Belkacemi (Belkheir 85').